The Montreal Children's Hospital has begun using an MRI simulator to help prepare children for a medical test that many find frightening. And it’s already resulting in children being able to skip the medication often used to sedate them. MRIs are invaluable to radiologists because they provide clear images of the body’s soft tissues that X-rays simply can’t see. But the machines are loud and confining and require that children remain perfectly still throughout the scan. That’s often not easy for young kids, says Dr. Christine Saint-Martin, who specializes in medical imaging at the hospital. “Between 4 and 6 (years of age), we know it's very difficult to do an MRI with no sedation,” she told CTV Montreal. For that reason, children in that age group are automatically scheduled to meet with an anesthesiologist, to discuss sedation. While sedating a child keeps them still, it means that children need a full day to recover, says Dr. Saint-Martin. “The parents, when they come for anesthesia, they have to spend the whole day with the kids. So this way, they lose a day of work,” she said. But when the hospital's chief technologist, Johanne L'Ecuyer, learned there was a new MRI simulator machine being used in Europe, she applied for $50,000 from the Montreal Children's Hospital Foundation to acquire one. “In no time, the foundation said ‘Yes’ to my project and here we are a year after. 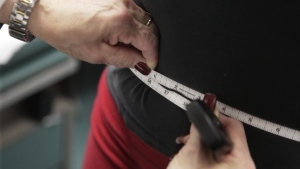 It’s installed and working very well,” L'Ecuyer said. The simulator is smaller than an actual MRI, is painted in primary colours, and resembles a rocket ship. Children are asked lie down in the “tunnel” part of the simulator while a technologist turns on speakers to demonstrate the sounds they will hear inside the real MRI. The children then proceed to the actual MRI, which has been painted with the same colours as the simulator, and do their scan. The hospital says its initial numbers show that, among 102 children who have used the simulator over 14 months, 74 per cent were able to forego sedation. Skipping sedation not only improves the children’s recovery time, it frees up an anesthesiologist to tend to other matters at the hospital. Josee Melancon, the MRI coordinator at the hospital, says she’s found that most children don’t mind the simulator and actually enjoy learning about how MRIs work. 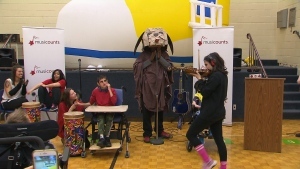 “The kids seem to like them. It’s a big toy. It gives us time to play with the kids too,” she said. 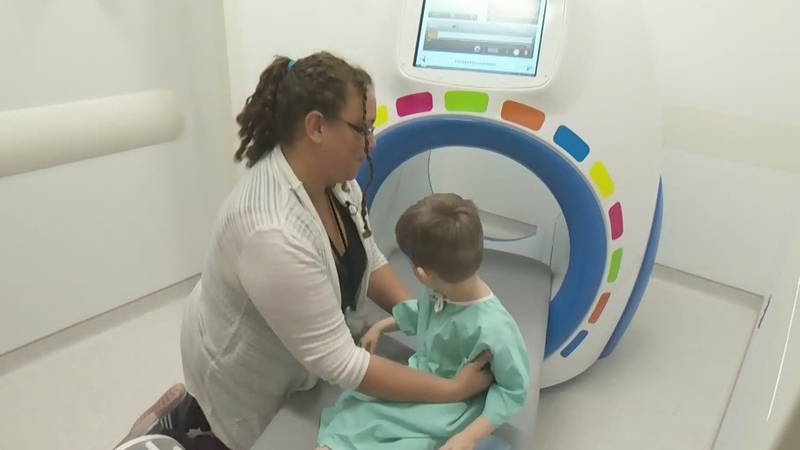 Montreal Chilren's Hospital MRI coordinator Josee Melancon helps ease a four-year-old boy into the MRI simulator.